Very central located in the neighborhood Lastarria. The area is walkable and full of restaurants and even close to the city center. The apartment was small but ok for some nights. Very centrally located. Cosy and with all the amenities you need. 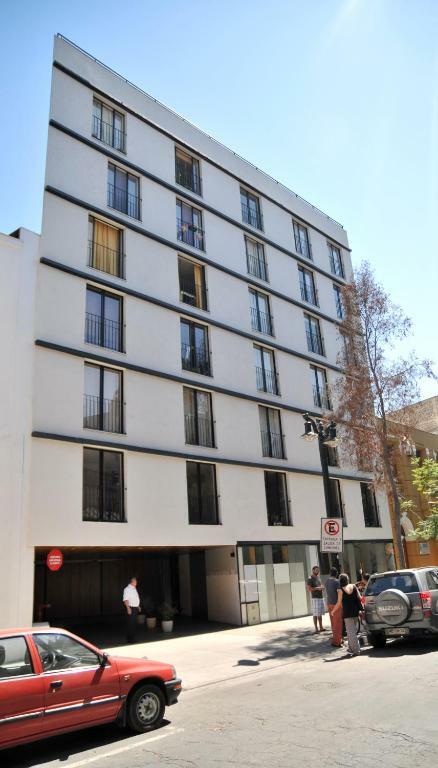 It is situated in district Lastarria, near to best restaurants, and walking distance to historic center. Comfortable studios with kitchenette and living-room zone. Very helpful administrator. We loved the location and within a few minute walking distance to the grocery store. The check in person was very nice and helpful. We had a few issues of our own doing, and he came to our aid almost immediately. The apartment was delightful, we are planning another visit in the future, and will DEFINITELY consider staying there again. Close to many things — able to walk around the neighborhood.. The apartment was located in the cutest neighborhood filled with tons of outdoor cafes. It was super safe, comfortable and right next to an amazing park. The location is sensational - the entrance to the El Morado national park is on the opposite side of the valley (about a 2-3 drive away). Fabulous views! It was in one of the nicest spots in Santiago, restaurants and a lot of things to do on walking distance. The department was fully equipped and extremely clean. Photos are exactly the same you find in the room. The place is exactly how you see it in the pictures. Its comfortable. The area around it is very beautiful, with pebbled streets and adorable bars and coffee shops, and fairy lights strung on the trees. There's a great hip and artsy night scene, yet its very quiet! You have very easy access to public transport, there's an exchange house only 3 blocks away. The Cerro Santa Lucia is literally a few metres away. The area is very recommended! It seemed safe, but i'd still watch out at night though. Location location location... cannot be any more central in Lastarria and the happening places in the area. Everything is within a 10min walk. The hotel stores my luggage for a week till I got back which was very much appreciated. 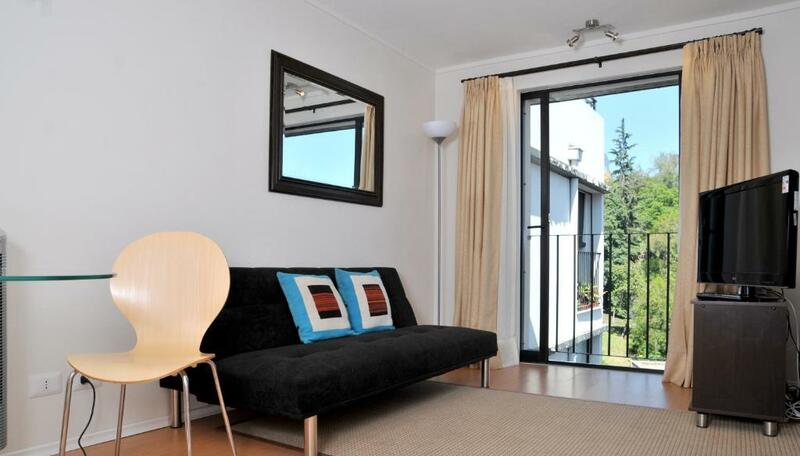 Lock in a great price for Lastarria Santiago Suite Apartments – rated 8.9 by recent guests! One of our top picks in Santiago.Featuring an excellent central location 350 feet from Universidad Católica Metro Station, Lastarria Santiago Suite offers self-catering accommodations in Santiago. Free WiFi access is available. This fully-furnished apartment is fitted with heating, portable air conditioning facilities, a flat-screen TV with cable channels and a fully-equipped kitchen. 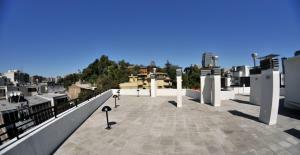 At Lastarria Santiago Suite guests will enjoy great views of San Cristobal Hill from the shared terrace. In addition parking for small and medium cars is available for an extra fee and subject to reservation. The property is located on the picturesque and cultural district of Lastarria and is a 10-minute walk from the lively district of Bellavista, where an array of restaurants and pubs are offered. Santiago International Airport is a 20-minute drive away. 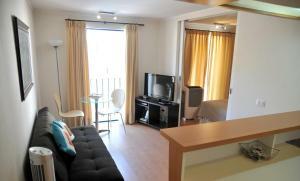 뀐 Located in the real heart of Santiago, this property has an excellent location score of 9.7! 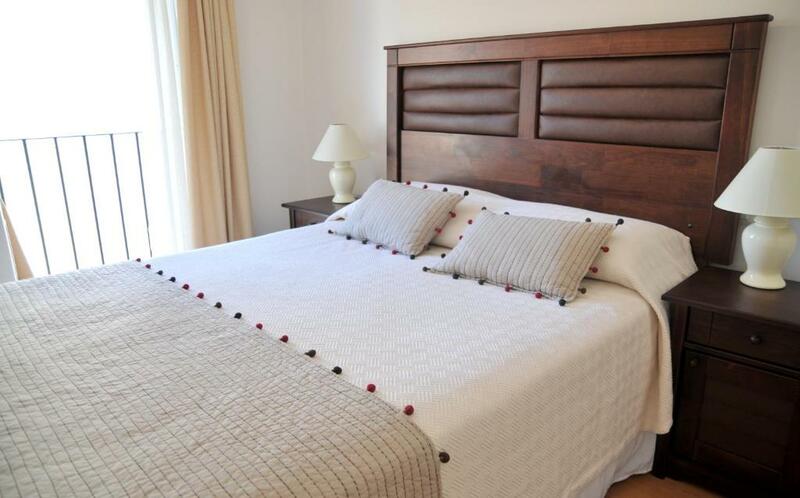 When would you like to stay at Lastarria Santiago Suite Apartments? This apartment features heating, air conditioning, flat-screen cable TV, and Wi-Fi. 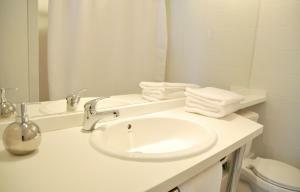 The apartment also has a fully equipped kitchen with a refrigerator and a microwave. Maximum number of guests is 2. A cot can be added, and an extra bed for a child up to 15 years can be added at an extra charge. Note that there are portable air conditioning facilities only. 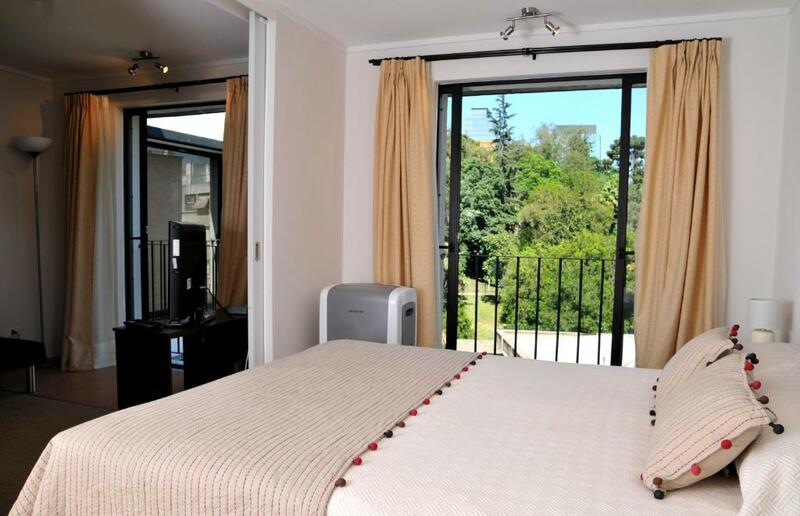 lastarria suite offers modern furnished apartment rentals in the most important heritage district of santiago. House Rules Lastarria Santiago Suite Apartments takes special requests – add in the next step! Lastarria Santiago Suite Apartments accepts these cards and reserves the right to temporarily hold an amount prior to arrival. Please note there is parking available for a fee, however as it uses a car-elevator, it is only available for small and medium sized cars. If unsure, please specify your car type in the special requests box when making a reservation. The house keepers did not follow the cleaning procedure. They did not change the sheets and towels. The central location and the kitchen facilities were relatively very nice. The shower is an over the bath affair. Perfectly operational yet let’s the apartment down slightly! I was disappointed that there was no iron available! I had wanted to wear some dress shirts out on an evening but no great loss. I stayed casual instead! 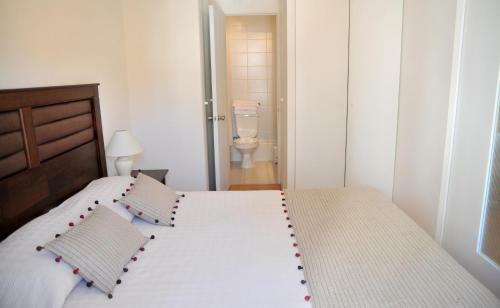 The room was clean, modern and stylish. It’s location is excellent and my rear facing room had a great view. Excellent location, safe, clean, modern and comfortable. We booked it again for our one day layover in Santiago as it’s great value for money. We needed sheets and pillows for the couch, which we thought would be available. We could rent the sheets etc. for US$10, about $14 Aus.!! Ridiculous! Excellent central location, lot of great restaurants and access to transport. The apartment is well furnitured, clean, silent and with good view. Lots of restuarants around. Good location. 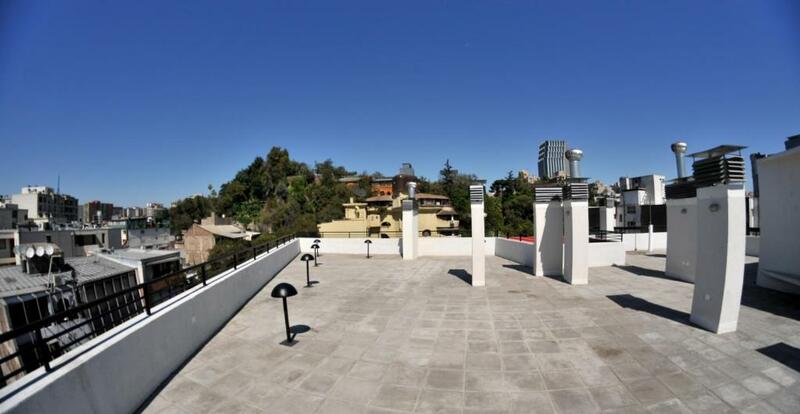 Excellent location in the heart Lastarria but tucked in a side street and quiet although only 50 metres from the main street with bars, restaurants, shops, cafes and markets. About 50 metres in other direction to Santa Lucia hill and park as well as 15 minute walk over the bridge to Bellavista. Small but comfortable spot as a base for being out and about. Building is only a few years old and clean and well maintained and extremely good value. Brilliant location. Cute apartment nearbto everything we needed. Great location! The checkin is done at one of the neighbouring apartments (will be communicated at the entrance by the concierge). As described and no problems at all. Very quiet. Easy access from the airport through bus to the central station and underground (avoid the private transfers/taxis which can take more time to arrange and will cost you multiple times more). The WiFi works great. Very good location. Close to metro,cafés,shops etc. Excellent security, doorman present at all times. Facilities were first class and, very importantly, first rate and very helpful reception staff. There was no air condition and it was too hot so I can t sleep. Queen size bed is too small for 2 adults. All rooms have queen. Apartments need little "face lift". We had no problems with check-in, the staff was nice and helpful, location is great,we really loved our stay here!